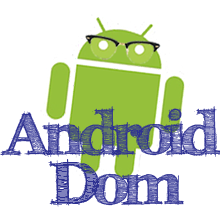 Happy Valentine's Day to all the Android Drom readers out there. We know that many people believe this is just a hallmark holiday, and in some ways it is. So we don't get all mushy buying flowers and chocolates, but we do cherish the friendships we have made and those people who are there for us no matter what. But I'm sure most of you are here for the tutorials, and we are glad to inform you that we are working on new ones and you should be seeing them soon. Again, if you have any suggestions as to what you would like to see next simply let us know and we'll work on that.